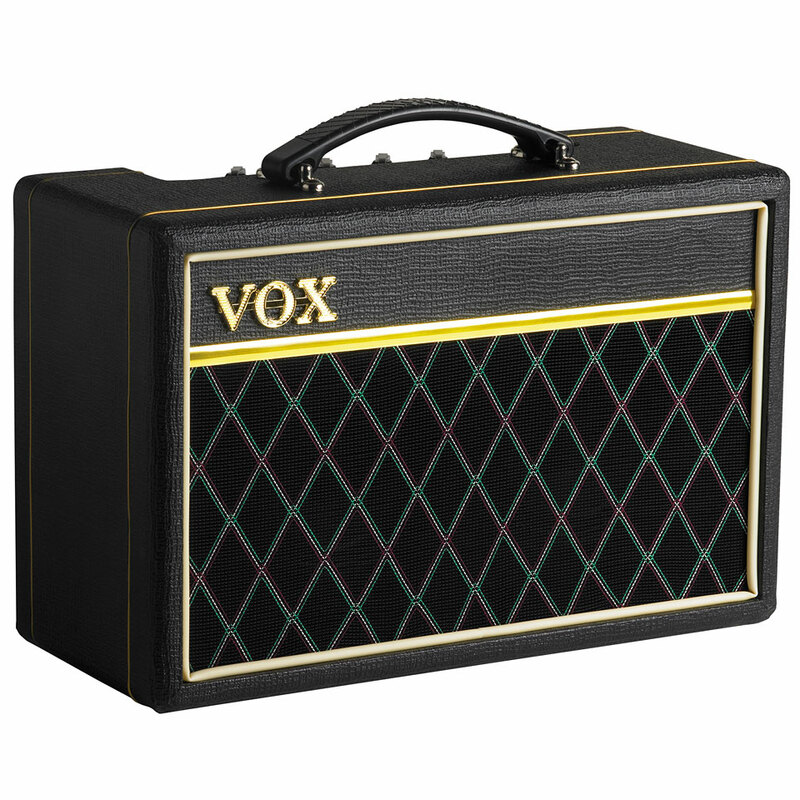 The Vox Pathfinder 10 Bass is a super portable practice bass amplifier weighing just 2.54 lbs yet the bass tone it delivers is surprisingly powerful and professional from a 10-watt amplifier driving 2 x 5-inch Vox Bulldog speakers. This makes the Vox Pathfinder Bass 10 the perfect choice for any new bass player. 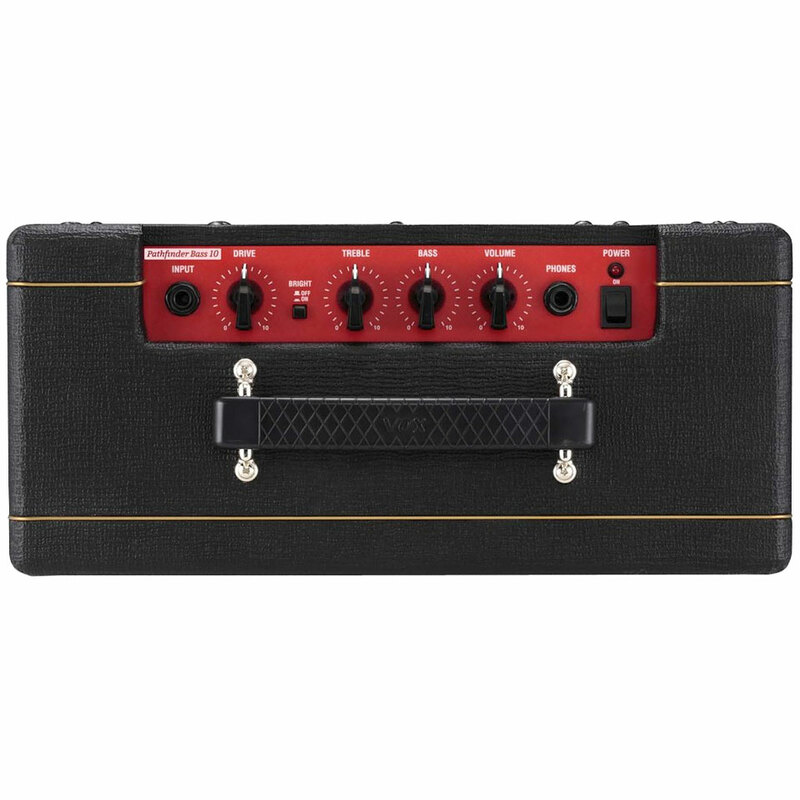 Features include Bass and Treble tone shaping controls, and a Bright switch to give your bass sound an edgier boost. Turn up the Drive control for a more distorted sound. 1/4" headphones / line-out recording jack allows silent practice at all hours. The Vox pathfinder series are small manageable Transistor Amps in the classic Vox outfit. · Show all articles of the brand VOX.